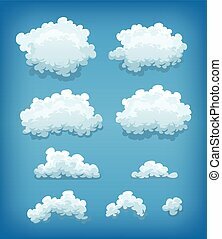 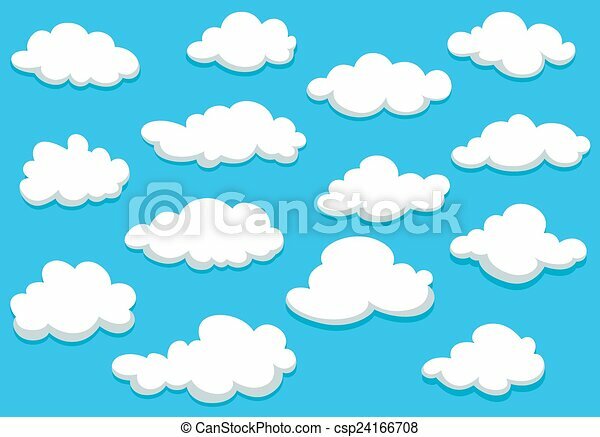 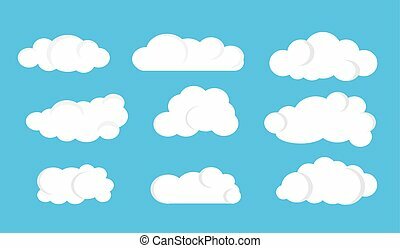 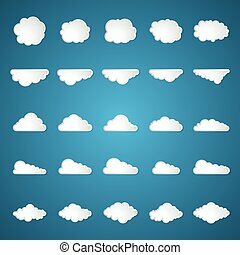 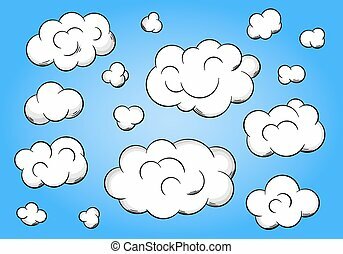 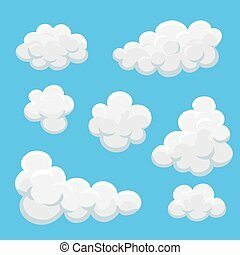 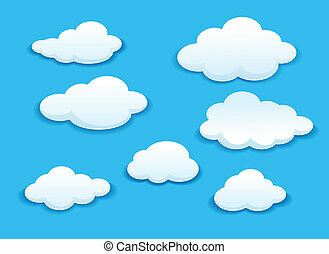 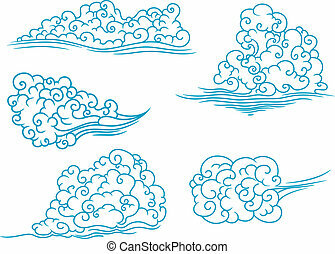 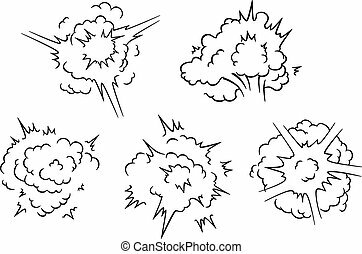 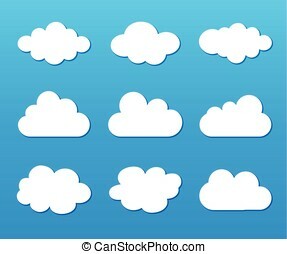 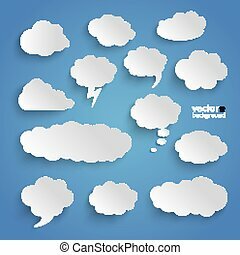 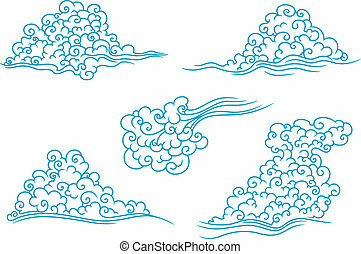 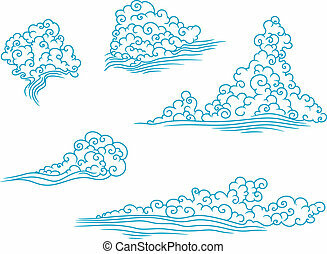 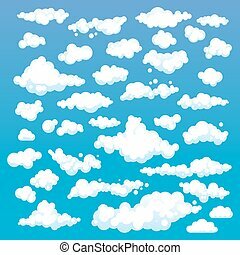 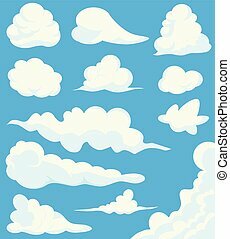 Cartoon clouds set on blue sky background. 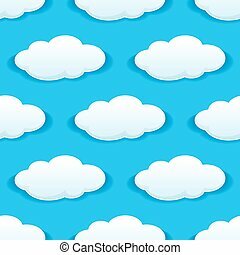 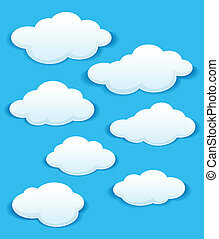 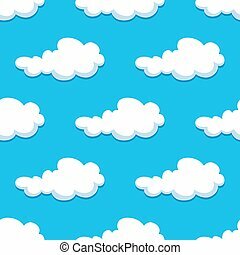 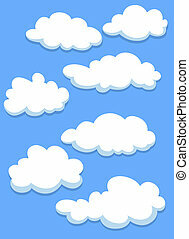 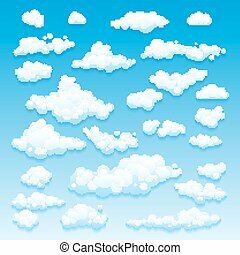 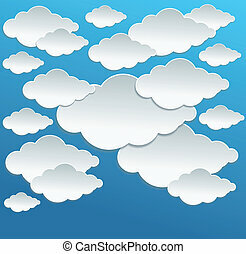 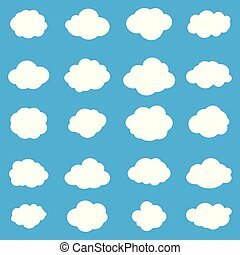 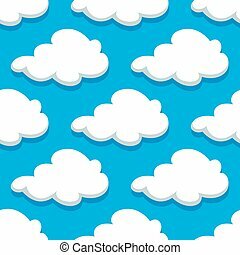 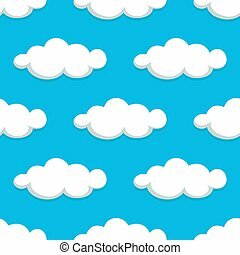 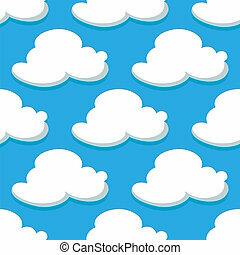 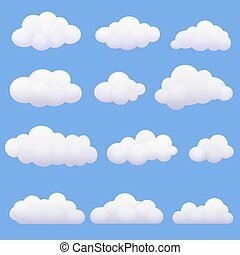 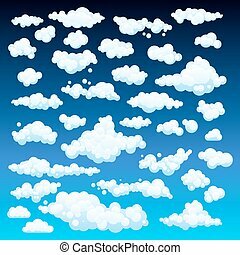 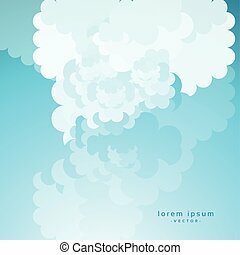 White fluffy clouds on spring blue sky in cartoon style for background or wallpaper design. 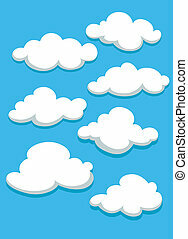 Clouds set on the blue background.